These are painted pieces that have been combined digitally. I have a new high-resolution scanner that is much more powerful and accurate than the old one I’d been using for quick scans. I reasoned that I could create painted backgrounds and scan them in at a high resolution to work with further in PhotoShop. At the same time, I had been curious about what kinds of marks I could make with a brush pen. I now have a whole stack of practice sheets done with the pen. 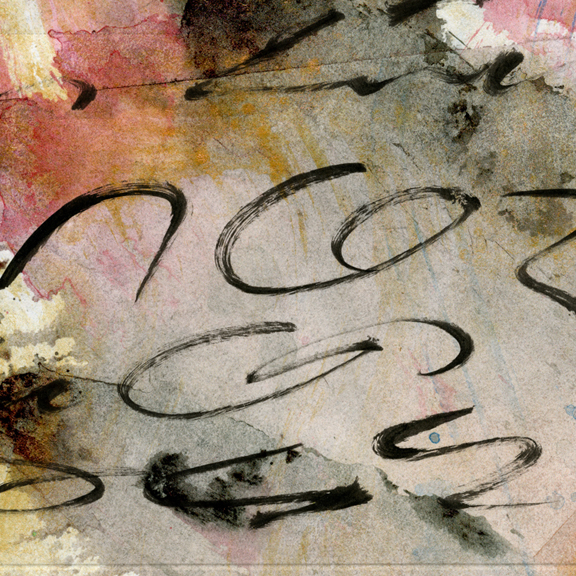 The watercolor backgrounds were done separately from the black brush marks. I like what is happening and hope to experiment more with this. Are the black marks digital or a scan of physical work which you then combine digitally? So do you like the new scanner , what model did you get? They’re a scan of physical marks that I made with my new brush pen. I wasn’t sure I was going to like it at first, but I’m getting used to it. It’s a Pentel brand. The scanner is an Epson V500 Photo and goes up to 12800 dpi on the professional setting. Of course I’ll probably never use it at that huge resolution, but I have taken it to 4800 dpi for very small scale things like bits of handwriting, etc. And it has a slide scanner attachment, which might be fun as well. Interesting, like the layering of the marks over the watercolours. Interestiing experiments lately, Martha. You sure stay ahead of the curve on everything! 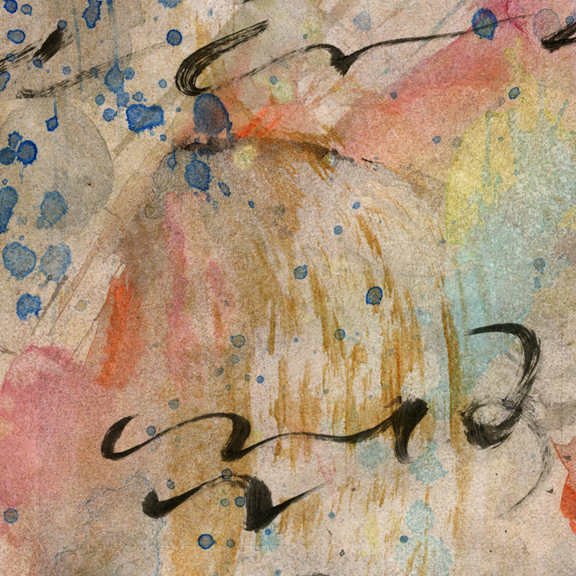 Love calligraphic marks contrasting the watercolors soft and pastel-like feeling. Great stuff, thank you so much for sharing!